Korean BBQ Chicken Kimchi Lettuce Wraps – refreshing lettuce wraps with spicy Korean grilled chicken and kimchi. So delicious you’ll want more. I am sure all of you are having loads of fun this summer. I love summer and I am always trying out new recipes, such as this Korean BBQ Chicken Kimchi Lettuce Wraps recipe, which is absolutely amazing in flavors and presentation, and a perfect crowd pleaser. my mouth is watering at the very thought of them. Making them for backyard BBQ or summer parties are easier than you thought and I will teach you exactly how. First of all, the chicken has to be moist and juicy, for that, I always count on a good olive oil to seal in the juicy flavors. My choice is Pompeiian Organic Extra Virgin Olive Oil. It’s great to keep the chicken tender; I also brushed the chicken with the olive oil during the grilling process so every bit of the chicken is nicely charred and evenly grilled. Disclaimer: This is a sponsored post by Pompeian. The text and opinions are all mine. Assembling the lettuce wraps is half the fun. You slice the hot-off-the-grill Korean BBQ chicken, then you place them in the middle of the lettuce leaf, and top with some kimchi. Voila, and you will have the best lettuce wraps ever. Slice each piece of chicken thigh horizontally into 2 to 3 slices. Set aside. Combine all the ingredients in the Marinade in a bowl, whisk it and make sure it's loose and completely dissolved. Marinate the chicken for at least 30 minutes or two hours. Grill the chicken until slightly charred and completely cooked through, brush the olive oil on the chicken during the grilling process. Slice the chicken into pieces. 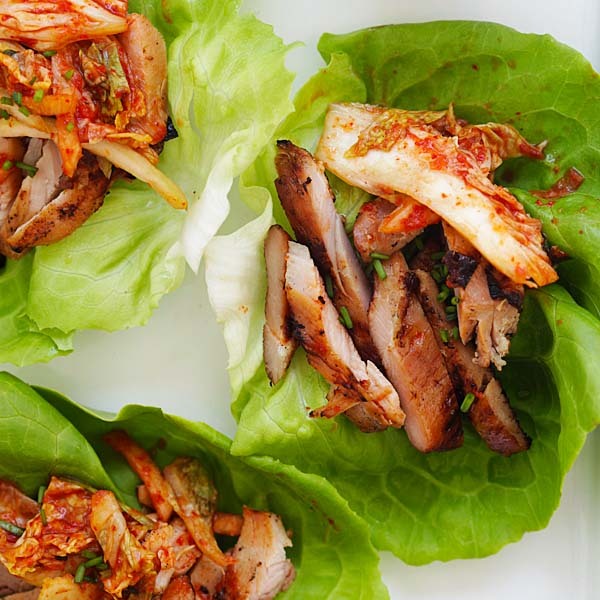 Place some chicken in the middle of the lettuce leaf, top with kimchi and serve immediately. All photos and recipes on Rasa Malaysia are copyright protected. Please do not use the photos and recipes without prior written permission. If you wish to republish this recipe, please rewrite the recipe in your own words instead of copy and paste and link back to //rasamalaysia.com/korean-bbq-chicken-kimchi-lettuce-wraps/. Thank you very much! is this dish particularly spicy? Loved the Korean BBQ recipe. But please tell us how KIMCHI is made. I made this once, but nobody here likes kimchi beside me. Hope it works for you. • Cut the cabbage into 1-inch pieces. • In a large container, create a 15 percent brine solution by combining about a pound of sea salt for every 12 cups of water needed to fully submerge the cabbage. • Brine the cabbage in the salt solution for 4-6 hours. • Remove the cabbage from the salt solution and rinse thoroughly in freshwater. • Blend the garlic, ginger, sugar, salt, soy sauce, gochu karu, fish sauce, and salted shrimp to a thin paste, adding water if necessary to achieve desired consistency. 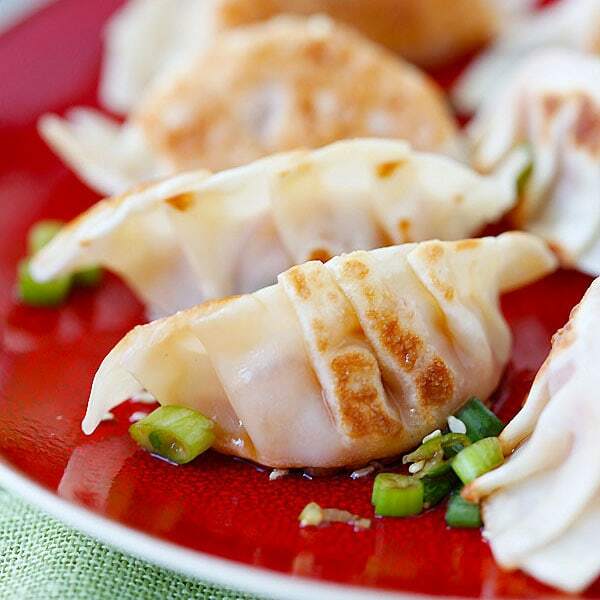 • Combine the garlic mixture with the cabbage, scallion, and carrots and stir until well-coated. • Pack the cabbage mixture firmly into a jar, pressing down to eliminate air pockets. Be sure to fully submerge the cabbage using excess garlic mixture, leaving about one inch of space from the top of the jar. • Cover the jar tightly and place in a cool, dark place. Allow to ferment for three days to two weeks, depending on your preference — taste as you go. 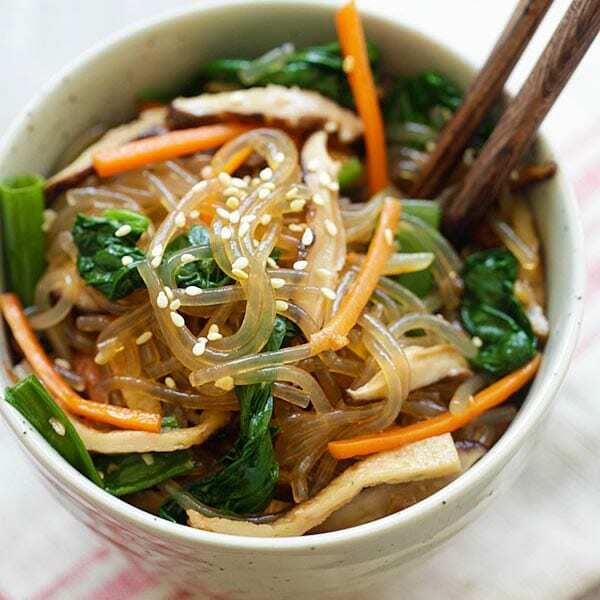 Kimchi made with fruits and soft, summer vegetables is best consumed within a few weeks, whereas kimchi made with hearty, winter vegetables can last up to several months. Thanks for the kimchi recipe! I made this last night and the flavours were spectacular ! Hubby and I absolutely love it and it is our new fav ? 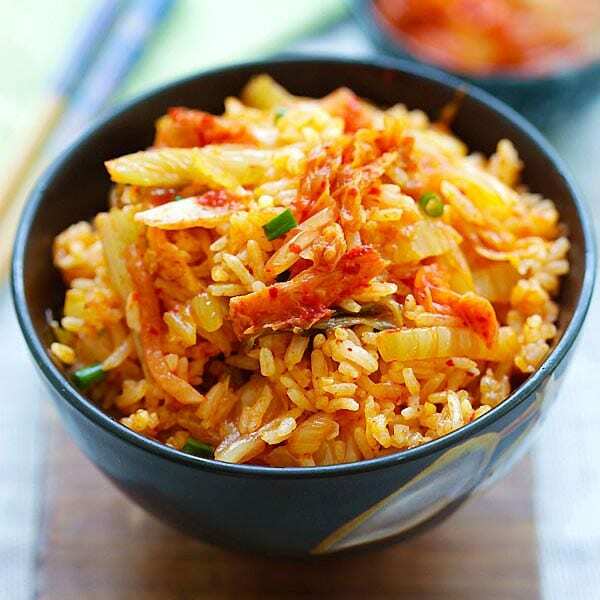 I’ve always wondered what to do with kimchi, instead of just eating it. I enhanced the wraps with a light yogurt cucumber dip. Thanks Sarah for your comment. Yes kimchi is amazing!